The kitchen is the most important place in any restaurant. This is where food is prepped, delivered, made, and plated in a presentation that will be most appealing to the customers. 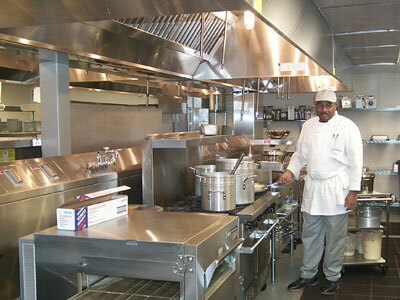 Being able to maintain a neat, orderly and above all safe kitchen is paramount to any restaurant manager. Most restaurant kitchens are made up of several stations. From Prep, saute, pizza, salad and more, depending on the size of the restaurant there may be only a couple, or there may be many. When you’re thinking about your kitchen, consider the menu that you offer. If you have many salads on the menu, having an adequately stocked salad station is key, grilled food requires a larger grill to make sure that food gets prepped, prepared and delivered faster. Being able to maintain good space requirements, and understanding the space limits you have will help, also. How you stock your kitchen will be very important, too. You have to make sure that all of the equipment you have is appropriate and efficient. However, it is usually beneficial to get much of the equipment used- this is a cost effective way to stock your kitchen and serving utensils, dishes, and other small items can really be obtained much more cheaply this way. For larger pieces, such as grills and ovens, you need to be a bit more careful to ensure that they have more life left in them. 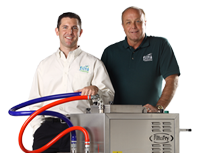 You may also want to think about leasing your equipment, particularly in respect to things like ice makers, which typically have a very short span of use. Safety should be in your mind at all times. Always ensure that there is plenty of space for movement around things like the grill, ovens, and fryers. There needs to be enough room for your staff to be able to do their jobs and in such a way that does not compromise safety. Being sure that all areas where hot things are served, prepared or otherwise handled have appropriate safety measures is key, and making sure that your staff is well trained in how to handle certain situations will also be beneficial. As a routine part of your maintenance routine- make sure you have lists available on the way that you want each and every process done. This may be anything from how to clean the grills and ovens, to how to clean, filter and maintain the fryer- but make sure that everyone is very clear on what it is that needs to be done and in what fashion. Keeping your kitchen safe is a major part of running a good restaurant. Your staff deserve and have the right to a safe and well organized work space that is as free of risk factors for injury as possible. Being aware of the space requirements from the outset and planning accordingly can help you to create a safe workplace before staff even enter the door. These are a few small ways to make sure that you’re not only running an efficient, but safe kitchen.